Small Business Saturday - Karen Sobolesky & Co.
Small Business Saturday is a day dedicated to supporting small businesses across the country. It is celebrated every year on the Saturday after Thanksgiving. 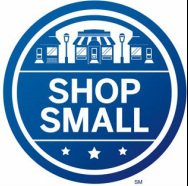 This year, Small Business Saturday is on November 29th. As a local rep group, we are committed to helping small locally-owned Alaskan shops across the state fill their stores with cards, books, and handcrafted art and gifts not found in major retail stores. Please support local shops who use local reps! Help keep money in Alaska. Orca Books & Sound Co.
UPS Store - Giest Rd. Alaska - Juneau Mining Co.
Douglas Island Pink & Chum Inc.